Yesterday the Sierra Club issued a press release boasting about phasing out the 200th coal-fired power plant in America. Break out the champagne, global climate change defeated? Only if you ignore Asia, particularly China and India. Michael Bloomberg, supporter of the Beyond Coal Campaign. The occasion for celebration was the announcement that Alliant Energy, a major Iowa utility, has committed to phase out coal use at six of its plants, making it 200 out of 523 U.S. coal-fired power plants to either shut the doors or switch to natural gas. Supporters like ex-New York mayor Michael Bloomberg could barely contain themselves. “Every step we take to reduce coal use helps Americans breathe easier, and the 200th coal plant to announce its retirement since the launch of the Beyond Coal Campaign is a great milestone for public health and for the environment,” said Bloomberg, whose Bloomberg Philanthropies committed $80 million to support the the Sierra Club’s Beyond Coal campaign. It’s becoming increasingly clear that what America does to reduce greenhouse gas emissions will have little global effect because other countries will rush in to fill the gap. 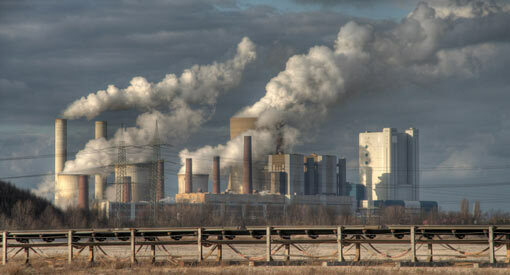 Coal-fired power plants emit twice the CO2 of natural gas-fired power plants. India, for instance, says forgoing development to reduce carbon emissions is not possible. “Our emissions will grow because we are not developed and we have a right, every person on this Earth has a right, to develop,” Prime Minister Narendra Modi has repeatedly argued. Last year Indian coal mines produced 620M tonnes and another 400M tonnes was imported. But the government has binged on new mining approvals, with the result that between now and 2020 a new coal mine will be opened every month and national production will reach 1.5B tonnes. It gets worse. India isn’t building shiny new power plants using the latest clean coal technology or even carbon capture systems. No, those plants are being built on the cheap using outdated and inefficient designs. “New plants are being built, in an arc running from South Africa to Southeast Asia, but too many of these are based on decades-old technology,” Maria van der Hoeven, executive director of the International Energy Agency, said in a release while launching the agency’s Medium-Term Coal Market Report. Coal mines are expanding rapidly across India. Even though India is praised for its emission-reduction plan, emissions are expected to double from 2010 levels by 2030, which isn’t surprising given that as of 2012 the country had 551 additional coal-fired power plants being developed. America could shutter its entire fleet of coal-fired power plants over the next 15 years, only to have the GHG emissions be replaced by India’s new plants. And let’s not forget China. The world’s largest coal producer and consumer mines around 3.5B short tons and uses 4B short tons a year. The pace of coal-fired electrification in China is staggering. From 2005 to 2009, the world’s most populous country added the equivalent of the entire American coal-fired plant fleet and is forecast to do so again over the next decade, despite adding 50 per cent more capacity from 2010 to 2013. Yes, China and the US announced a plan to limit GHG emissions last year. But the most likely scenario under that agreement has Chinese emissions peaking in 2030. Depending on which scenario China achieves, total national CO2 emissions will rise between 25 and 50 per cent. And even the most aggressive plan only has Chinese emissions dropping to about 2012 levels by 2050; they could be much higher. By 2019 the world will be burning 9B tonnes of coal a year, of which the US is responsible for 1B tonnes. If American coal consumption declines 1.7 per cent annually, as predicted by the IEA, it will be a long time before that reduction has any practical effect on the global ecosystem. The Sierra Club’s efforts really amount to sticking a finger in the climate change dike. 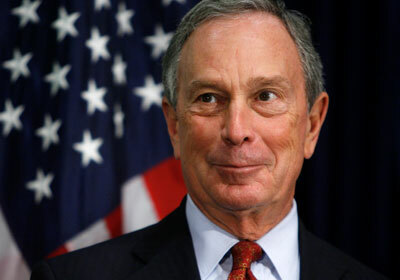 My purpose in this column, however, is not to mock the Sierra Club and Michael Bloomberg. At least, not their efforts to close American coal-fired power plants. Coal is the low-hanging fruit in the climate change debate. Of course we should switch from coal to natural gas. Of course we should invest in wind and solar where it makes practical and economic sense. Power generation – unlike transportation, the primary use for oil – has alternatives to its dominant fuel. And coal is far and away the nastiest fuel we could possibly use to create electricity. So, let’s focus on coal. But let’s not pretend that the road to a world without coal is short and straight, even in America. As the IEA acknowledges in its report, coal has tremendous momentum on its side. Coal is cheap, there’s plenty of it, and for developing nations willing to wink at the environment, old-technology power plants are inexpensive and easy to operate. And on the renewable energy side, the technology is young and there are many obstacles to surmount before solar and wind are a direct replacement for coal or gas. Which brings me to my conclusion: That technology change is messy, complex, and fraught with technical, economic, and social challenges. Eco-activists like the Sierra Club would have us believe otherwise, that the transition to a less-carbon intensive world is easy if we can only summon the political will. Not so, as my argument above demonstrates. There will be many twists and turns in the path before the final American coal-fired power plant belches its last carbon dioxide. Policymakers, consumers, and industry have to be prepared for the challenges. As noted policy analyst Vaclav Smil has argued in these pages, renewable energy is a crawl, not a revolution. And there is many a slip betwixt press release and reality. 3 Comments on "200th American coal plant closed: Sierra Club should hold the celebrations"